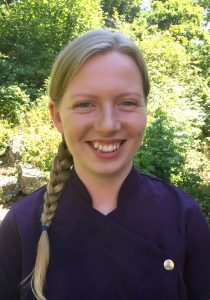 Blue Flamingo Therapies was founded by myself, Megan Viney. My journey into Complementary Therapies began 7 years ago, when I started practicing Reiki, a form of Energetic Healing. At first I was very sceptical about whether this kind of healing would actually work, but after seeing the positive reaction from the dogs, horses and mum with her rapidly healing burnt finger, I was hooked! Ever since then, I knew I wanted to explore more therapies so that I could help others feel their absolute best. Studying Shiatsu for a year allowed me to get a brilliant insight into the world of oriental massage techniques, as well as learning about pressure points and meridians found in the body. From that point, massage was the obvious way forward. And what better way than to massage than by incorporating the wonderful aromatics of essential oils? Not to mention their fantastic individual healing properties. After studying with the brilliant Liz Lee as my tutor at Olive Training, I qualified as a Level 3 Aromatherapist (VTCT accredited). I also an associate member of the International Federation of Professional Aromatherapists. During my Aromatherapy journey, I have had some brilliant feedback from clients, who presented with a wide range of problems from Fibromyalgia and chronic pain to ADHD, Irritable Bowel Syndrome and Colitis.